France's Transport Minister, Dominique Bussereau, has called for an inquiry into allegations that low-cost airline Easyjet barred disabled passengers from flying unaccompanied. 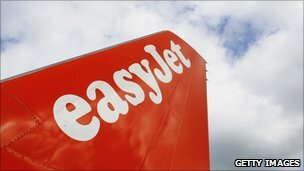 He ordered the move after reports that Easyjet had refused to fly disabled passengers on safety grounds. They were told they must be accompanied by another passenger in order to board the plane. Easyjet said they were simply complying with safety regulations. "European safety regulations require that all passengers are able to evacuate an aircraft within 90 seconds and therefore we require that some passengers with reduced mobility have a travel companion," a spokesman for the company said. "We are already in discussion with the French government to find a workable solution for our passengers without compromising safety." On the airline's website, it says it that unaccompanied disabled passengers must be "self-reliant in emergency and evacuation situations". "In reality, this means that you should be able to undo your own seatbelt, put on your own oxygen mask, lifejacket and make your own way to your nearest emergency exit unaided." In a statement on the French transport ministry's website, Mr Bussereau said the airline should not be allowed to "hide behind safety regulations". "It must implement solutions adapted to each case, as most companies do. Otherwise it must be sanctioned with the greatest severity," he said. Mr Bussereau has asked the French civil aviation authority DGAC to conduct the investigation.